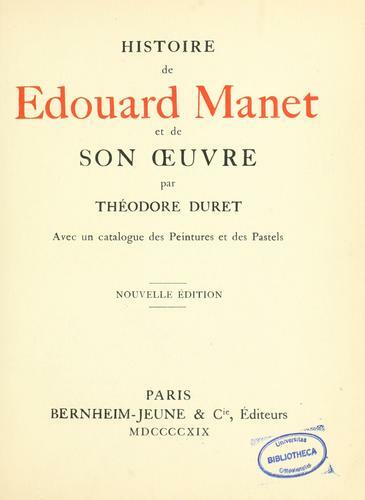 1 edition of Histoire d'Édouard Manet et de son oeuvre found in the catalog. Add another edition? 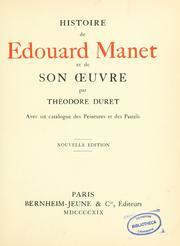 Published 1902 by Bernhelm-Jeune in Paris . Limited ed. of 600 copies. October 25, 2010 Created by ImportBot Initial record created, from Internet Archive item record.